Acclaimed artist and activist Maya Lin memorializes the environment in her Art/Act Award Showcase. 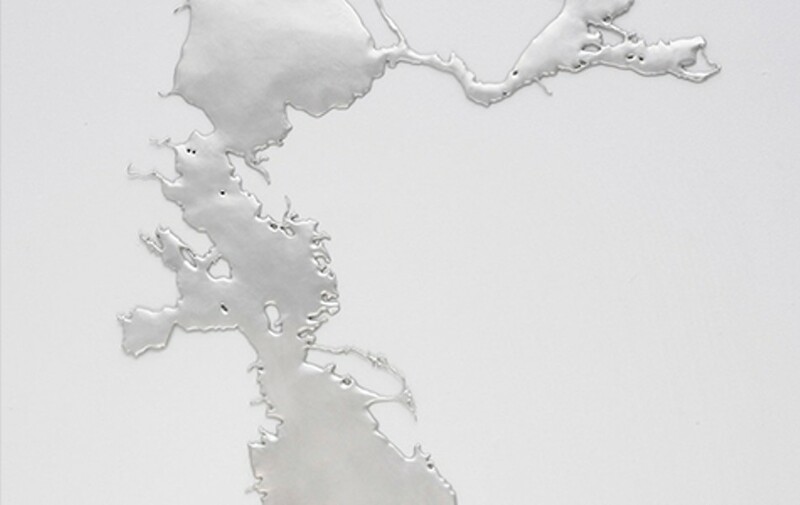 Maya Lin's casting of the San Francisco Bay. In 1981, as an undergraduate studying architecture at Yale, Maya Lin made a bold artistic debut by beating out a host of established architects in a contest to design the Vietnam Veterans Memorial in Washington, DC. The design was a gracefully simple landscape intervention — a clean slice into a grassy lawn that reveals a granite wall carved with the names of fallen soldiers. It is meant to evoke a perpetually open wound, so the country will never forget its past battles. The Vietnam Veterans Memorial has remained Lin's most well-known piece, but she has continued to work at the intersection of architecture, sculpture, and conceptual art throughout her prolific career. Now, she has returned to the practice of memorial building, this time with an environmental angle. What Is Missing? asks viewers to recognize that which has disappeared or is currently disappearing from the earth by extinction. Lin has stated that this piece of work will be her last memorial, and she intends it to broaden the concept of what a memorial is altogether. Lin has won many awards, and among them is this year's Art/Act Award, which is presented annually by The David Brower Center (2150 Allston Way, Berkeley) to a prominent artist who uses art for activism. The award is also accompanied by a solo exhibition at the Center's gallery. In her showcase, Lin is presenting What Is Missing? via a large computer screen, a loop of videos, three wall sculptures that represent the fragility of the planet's waterways, and a number of infographics. The sculptures in the show are intentionally simple and delicate. One is a silver casting of the San Francisco Bay. 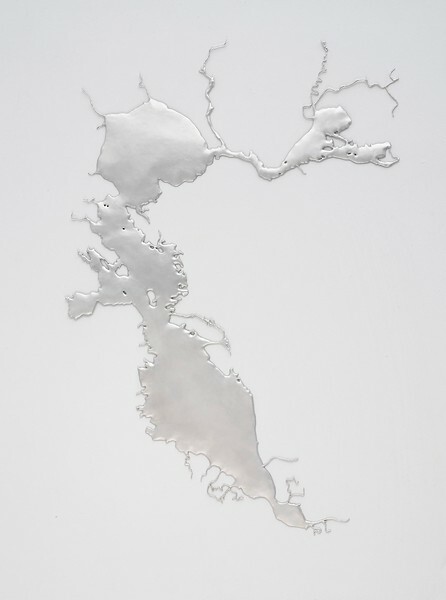 Lin's intention with the veiny puddle of silver was to reorient the viewer to behold the immense water region as a cohesive, fluid entity, and thereby recognize the care that it requires. But compared to Lin's past work, the sculptures are underwhelming, beautifully pointing out an area of concern without going much further. The online memorial (WhatIsMissing.net) is more interesting and effective. The landing page is a map of the world with floating dots that represent something that has disappeared or is disappearing. When the viewer clicks on one of the dots, they are either given a story (many of which are contributed by viewers) or are shown a short video explaining what has been (or is being) lost. And the website is only one aspect of the ongoing project, which includes a number of sound sculptures and video works. Similar to the way that Lin's first monument defied the idea that a memorial should be a scar of a past wound by keeping that wound permanently open, her last monument defies the idea that a memorial is something static and grounded, a rememberance of an unchangeable past. Rather, What Is Missing? preemptively memorializes, highlighting species that have yet to become fully extinct, and offering methods of action with which to intervene. This opens up an opportunity to change the trajectory of extinction, inviting viewers to alter that future memory through environmental action. Through Feb. 4, 2015. BrowerCenter.org or 510-809-0900.